I have blogged many times that Vinod Khosla is a clown when it comes to thermodynamics. He is also a leading player in the Complex by hiring big time “public servants” to advise him. I have reported on Toxic Tony Blair and Criminal Condi Rice being such advisers. My last blog showed that LanzaTech, a Khosla company, hired President Obama’s 2012 campaign manager Jim Messina to its board of directors. Messina is the Carl Rove on the Democrat side of our divided house. 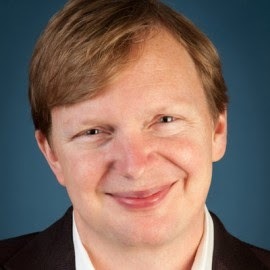 Only thing is Jim Messina looks like Baby Face Nelson. Check his photo above. It is hard to believe this guy gave us a second term of Barak Buchanan. In speaking to a highly qualified PhD Chemical Engineer, he confirmed the Lanza Tech mass balance that for each mole of ethanol four moles of CO2 are created. He also opined that the process uses as much energy as it creates and hence creates nothing of real green value from the carbon monoxide. This was pretty much as I suspected. The reaction is 6CO + 3H20 = C2H5OH + 4CO2. This reaction is exothermic and 729,120 BTUS go into the reaction and only 529,000 BTUS are yielded in the ethanol while the rest of the energy is lost as heat. To remove this heat the bioreactor has to be chilled and this requires electricity for the chilling system. Then the dilute ethanol has to be purified from the broth (water) and this requires energy. The PhD Chemical Engineer opined that the LozaTech process basically wastes all the energy in the carbon monoxide. Now if all the moles of CO in a steel mill were run through a combustion turbine, much greater useful energy would be generated in the form of electricity and steam and much lower carbon emissions would be the overall result compared with the Rube Greenberg idea that LanzaTech is promoting, hyping, and greenwashing. I found a 2007 article by Robert Rapier that was critical of LanzaTech. It is linked below. Further chemical engineering analysis of the gangrene bogus junk science yields additional evidence that Mr. Rapier was being kind and conservative in his criticism of the idea. Remember Leslie Stahl also interviewed Mr. Rapier when she interviewed Vinnie the Thermo Clown on 3,600 seconds. Mr. Rapier said he would not let Khosla perform brain surgery on him. Actually I would not go to Mr. Khosla for surgery even if he was a proctologist. The electron balance of the chemical reactions shows that the LanzaTech process will yield four molecules of Carbon Dioxide for each molecule of Ethanol. Why in heavens name would we waste two thirds of the carbon and emit it as CO2 at the steel plant? Why would we have a process with zero energy gain? Why would use ethanol in an engine that is only 19% efficient when we could have used three times the carbon in the form of CO in a combustion turbine that is 40% efficient. It is simply time for the green “press” and the department of entropy to tell us that the second law of thermodynamics gets the first and only award. Then companies that obey this law will be the ones to be given taxpayer money.